A reliable tactical tool is an important part of a fighter's equipment. Grappling hooks, probing rods and other similar accessories are indispensable when performing tasks in extreme conditions, when you constantly have to overcome all sorts of obstacles. Until recently, similar goods were imported into Ukraine from other countries, but with the beginning of the military conflict in the East, the demand for tactical equipment increased many times over. Unfortunately, the raising of the exchange rate with reference to hryvna has led to the fact that imported products are no longer available for a wide range of consumers. Tactical tool from Velmet Armor System At a very crucial moment for Ukrainian society the Velmet Armor System management made an willful decision to start the production of tactical equipment from scratch using innovative technologies, modern materials and the latest equipment. And today we bring to your attention the latest tactical equipment with excellent value for money! • quick modification from marching to working condition. 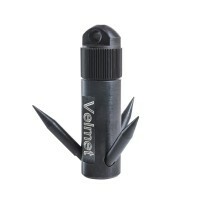 Buy a tactical tool in Ukraine Velmet tactical tools are capable of making decent competition already available on the Ukrainian market goods of foreign origin. At the same time, the cost of our products is much lower, what makes it possible to reduce the cost of purchasing a set of military equipment. 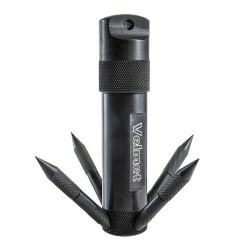 To buy a folding three-pointed grappling hooks and other tactical tools, use the convenient functionality of our online store. To clarify the conditions for making purchases and ordering wholesale batches, we invite you to contact the competent managers of the company!